Omega Automotive’s NAPA AutoCare Center is a service center built around a quality standard based on integrity, qualifications and expertise. 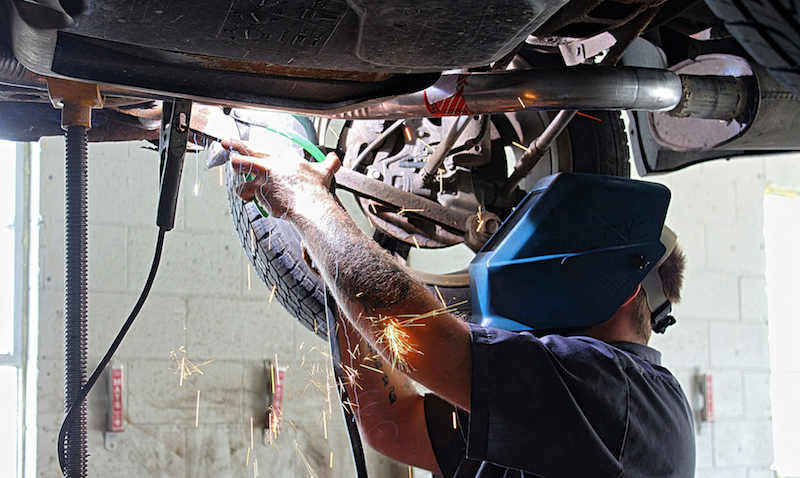 We want to earn your trust and be your automotive repair center. Batteries are a huge part of modern life in Fort Wayne. I mean, how many battery chargers do you have? Of course, our purpose here is to talk about your car battery. When people come into our service center and need a new battery, they’re really not that happy about having to spend the money. But the fact is that 70 percent of batteries don’t make it for 4 years. There are some things that you can do to extend the life of your battery. First, keep it clean. If you see it getting dirty or greasy, let us know at Omega Automotive and we can clean it off. A dirty battery runs hotter and that shortens its life. If your battery terminals are corroded, let us take a look at that too. We can clean them, and if the corrosion has gotten into the battery cables, we can replace them. Because we often take short trips around Fort Wayne with lots of stops for errands, our batteries can end up not getting fully recharged just by driving around. That also shortens battery life. You can hook up a good quality automatic battery charger at home from time to time. We recommend charging once a month during hot months and every three months during cold months. • REFER A NEW CUSTOMER AND GET A FREE OIL CHANGE PLUS $100! We have a different approach to doing business, taking pride in our transparency & level of service. We use only top quality oil, oil filters, & parts with every service or repair ensuring you get the best in class service that you deserve. Our customer is our greatest asset and is a must that there is 100% confidence. NAPA offers a warranty on parts that is second to none. If you ever experience a problem with a covered repair, you can count on Omega Automotive’s NAPA AutoCare Center to cover the warranty. The standard warranty covers parts and labor on qualifying services and repairs for 24 months or 24,000 miles. 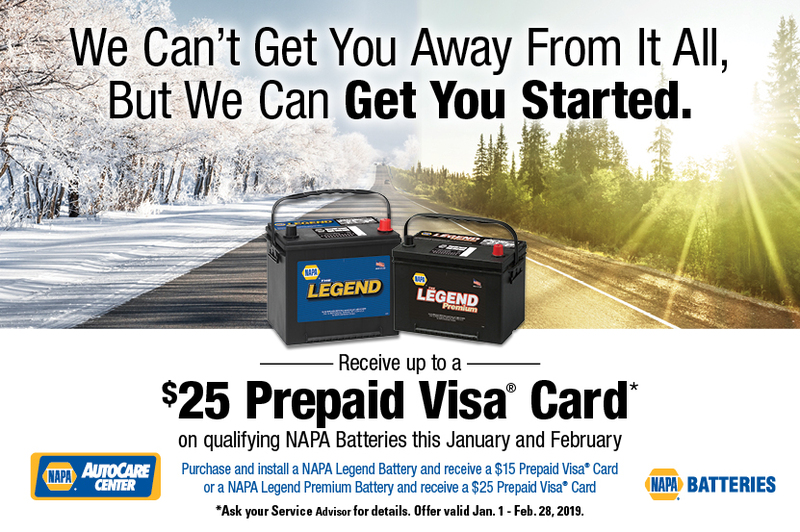 NAPA offers an option to extend your coverage to 36 months or 36,000 miles. This isn’t your standard oil change, it’s comprehensive preventive maintenance. We check, change, inspect, flush, fill and clean essential systems and components of your vehicle. In addition, our technicians go over a visual inspection to diagnose potential problems and plan any upcoming manufacturer recommended maintenance. Omega Automotive’s NAPA AutoCare Center is built around a quality standard based on integrity, qualifications and expertise. Automotive Service Excellence means the ASE Certified technician working on your vehicle is one of the best, most knowledgeable and experienced technicians. You can trust the job will be done right. YOU’LL GET A FREE OIL CHANGE PLUS $100! It is important that you have an excellent experience with Omega Automotive. please let us know so we can not only improve, we can have further opportunity to provide you with the best service possible as well. Referrals from our clients is something that can only be earned. We want you to be 100% confident and refer us to family, friends, neighbors, and coworkers. email, or in writing and $100 plus a coupon for a free oil change. 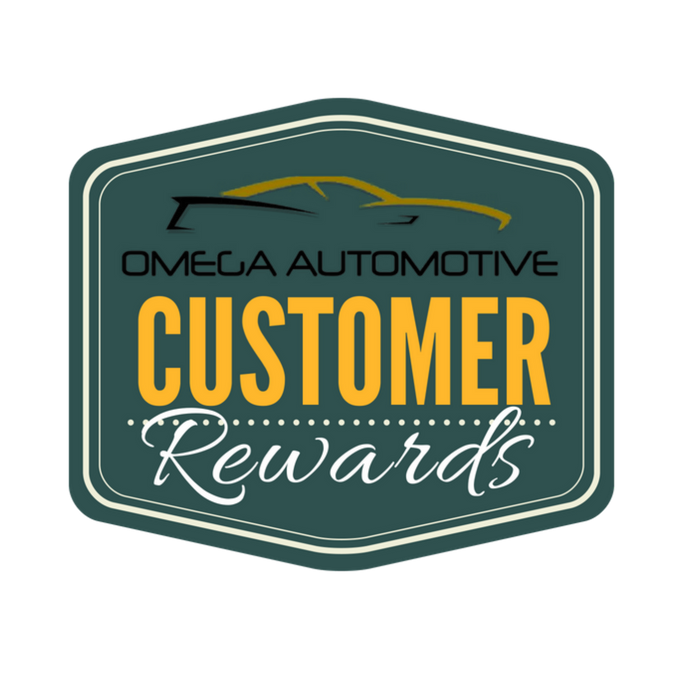 Referrals must be approved by Omega Automotive management.